Journey on Foot – Goodbye, honored with Gold World Medal at New York Festivals World’s Best TV & Films. 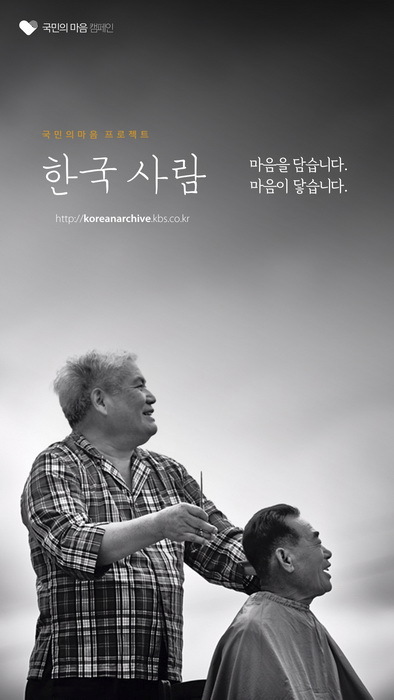 Listen to Hearts Campaign - ‘Korean People Archive’ collects the Silver Medal at New York Festivals World’s Best TV & Films. KBS has again demonstrated its excellence in TV content creation with a standout performance at the New York Festivals World’s Best TV & Films 2018. Announced at the awards gala which was celebrated in conjunction with the 2018 NAB Show in Las Vegas on 10 April, 2018, KBS won five awards at the prestigious New York Festivals World’s Best TV & Films. Journey on Foot – Goodbye, My Girlhood and ‘Baby Box’ - Story of Deserted Infants were honored with the Gold World Medals in the category of Human Concerns Documentary and Current Affairs Documentary respectively. Delivered in high quality full-scale UHD broadcasting service, Journey on Foot captures the people of spiritual pilgrimage on three continents. The first part titled Goodbye, My Girlhood zeroes in on a girl in Ladakh, India, who joined the Buddhist order of nuns out of poverty, to go on her pilgrimage journey in a harsh climate of cold weather in highlands on 5,200m altitude. The series travelled 12,000 km for 450 days in an effort to capture the essence of people searching for self, a religious epiphany, and inner peace. ‘Baby Box’ - Story of Deserted Infants is a current affairs report that contradicts the Korean government policies which encourage boosting birth rate while it has been reported that about 200 babies are being abandoned every year in Korea. In the Drama Special category, A Summer Walk won the Silver World Medal as the single-episode romantic drama has been recognized for the outstanding cinematography. Also, in the Station and Image Promotion category, Listen to Hearts Campaign - ‘Korean People Archive’ collected the Silver Medal, the first time for KBS to win in this category. Under the slogan of “We listen to you and we understand you,” Listen to Hearts Campaign, started in August, 2017, has been bringing everyday lives and thoughts of ordinary people in our society. Broadcast via KBS TV1 and KBS TV2, the weekly campaign has been highly acclaimed for its exceptional images presented by top photographer Kang Young-ho. Additionally, ‘2017 Presidential Election’ Graphic Design Scheme for Election Day and Night Live and related TV Programs garnered the Bronze World Medal in the category of Best Graphic Design, the first time again for KBS to take out an award in the category of graphic design. Last year, KBS was honored with four Gold World Medals and one Bronze World Medal at the New York Festivals World’s Best TV & Films. Since 1957, the New York Festivals World’s Best TV & Films competition honors content from over 50 countries.